Jazz may seem like a rather complex and difficult genre of music, and unfortunately I can't say that it's not. It may take years before you can call yourself a master, but there are certain approaches you can take to make the process smoother and more fun. 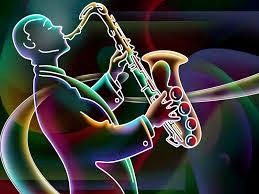 I have been told many times, that a very good way of starting your journey through the world of Jazz is simply learning jazz standards such as Autumn Leaves or Aint Misbehavin. They say that your first 30 standards are the hardest and its downhill after that and i have to agree with that. When learning a Jazz standard you shouldn't just be able to play along with the tune. You should learn both the rhythm and lead parts so that you have a deeper understanding of the piece of music. I find that an absolutely necessary component of practicing is playing with other musicians. Finding people to play with can sometimes be difficult but it is most definitely worth the effort as your sense of time and playing in a band improves drastically. A good way of jamming is swapping between the rhythm section and the lead solo section so that each one of the players gets to play every part. One thing that many Jazz guitarists do is learning a lick in as many different positions on the neck as possible. This method improves your orientation around the neck and enhances your freedom and comfort when soloing. Another thing you can do to improve your general jazz skills is invest in a Jazz chord book or find an equivalent online. Most Jazz scores have the melody written out and the chord names just written above it in which case you have to know the chord shapes to be able to play along. Knowing the chords you will be able to play along to pretty much any tune on the spot which can be a very useful skill when jamming with other musicians.